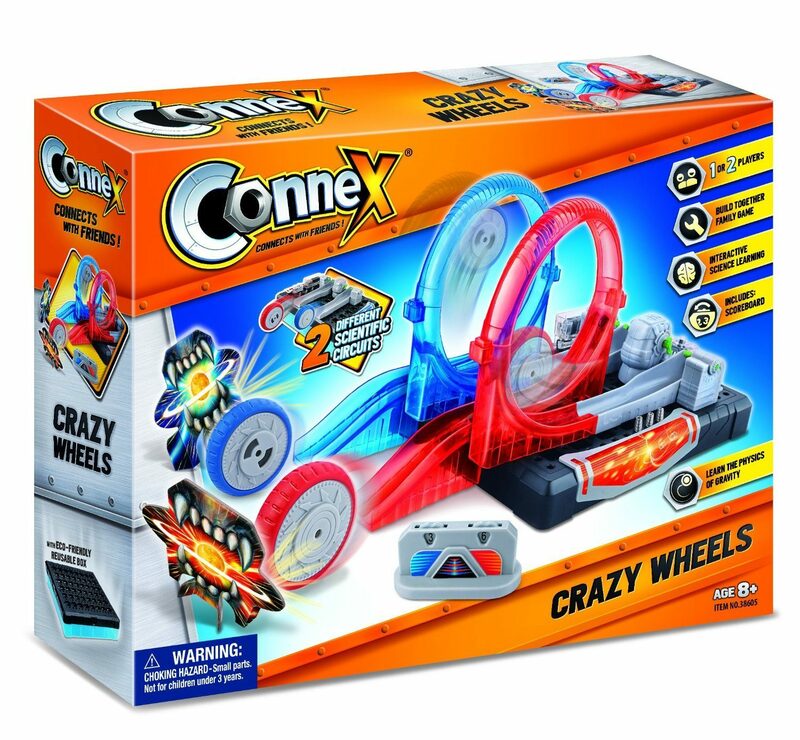 Amazing Toys Connex Crazy Wheels Interactive Science Learning Kit Only $11.63 (Reg. $29.99)! You are here: Home / Great Deals / Amazon Deals / Amazing Toys Connex Crazy Wheels Interactive Science Learning Kit Only $11.63 (Reg. $29.99)! Hurry over to Amazon to pick up this great deal! You can get this fun Amazing Toys Connex Crazy Wheels Interactive Science Learning Kit for only $11.63! A Build Together Family Game with Interactive Science Learning. Connect the wires and circuits to build this fun Roller Coaster Wheel Track to play with family and friends! Learn about gravity and gravitational force. Create 2 different scientific circuits.